West Ham’s UEFA Europa League campaign gets underway with tie in Slovenia against Domzale. Who will come on top in the first leg? Find below our DOMZALE v WEST HAM betting preview with free predictions, betting tips, best odds, probable line-ups, bookie promotions and no deposit free bets on the Europa League! NK Domzale, earned their place in the Europa League by finishing third in their domestic league last term. 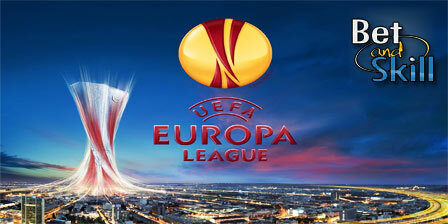 However they were at a considerable 19 point distance from league winners Olimpija Ljubljana and runner-up NK Maribor. So far in their run this term they have defeated Lusitans of Andorra and Belarusian side Shakhtyor Soligorsk. The Slovenians are likely to play with a 4-2-3-1 formation in which Mance will be the lone forward and Morel, Majer and Crnic the three offensive midfielderes. Horvat and Alvir are likely to start in the middle of the park while the back-line will be formed by Brachi, Dobrovoljc, Horic and Balkovec. The Hammers, who finished 7th in the English Premier League last season. They haven’t done well in the warm-up matches as they tasted victory once in the 5 matches played so far. They won only one of their five friendlies so far, that being 3-0 against Karlsruhe on Saturday, while they drew 2-2 with Carolina RailHawks and FC Slovacko and lost 3-0 to Seattle Sounders and Rubin Kazan. Slaven Bilic will not want a repeat of last season where their Europa League campaign was halted by a 4-3 aggregate loss to Romanian side Astra Giurgiu at the same stage. Dimitri Payet, James Collins and Angelo Ogbonna are out due to their participation in the latter stages of Euro 2016. Left-back Aaron Cressswell has been ruled out for up to four months after suffering knee ligament damage during the pre-season. Sofiane Feghouli, Gokhan Tore and Havard Nordtveit have all excelled in pre-season and are expected to start while Ashley Fletcher could be given a chance to lead the line ahead of Andy Carroll. Domzale (4-2-3-1): Maraval; Brachi, Dobrovoljc, Horic, Balkovec; Horvat, Alvir; Morel, Majer, Crnic; Mance. West Ham (4-3-3): Randolph; Antonio, Nordtveit, Reid, Page; Kouyate, Oxford, Noble; Feghouli, Fletcher, Valencia. 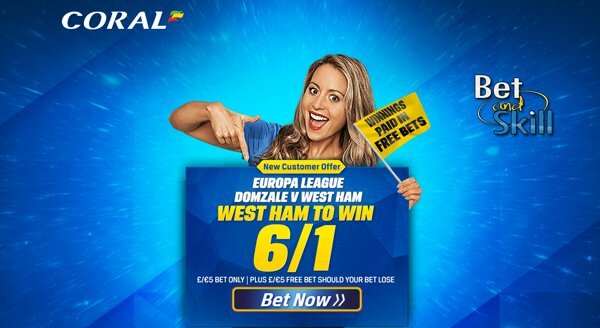 Double boost - 10/1 Domzale or 6/1 West Ham to win! "Domzale v West Ham predictions, betting tips, odds and free bets (Europa League - 28.7.2016)"